Last Tuesday, July 10, I was one of several guests on "Agenda" hosted by Cito Beltran. It was shown at 8-9am, replay at 12-1pm, then 4:30-5:30pm. Very quick interview by , about 2 minutes, Cignal TV. 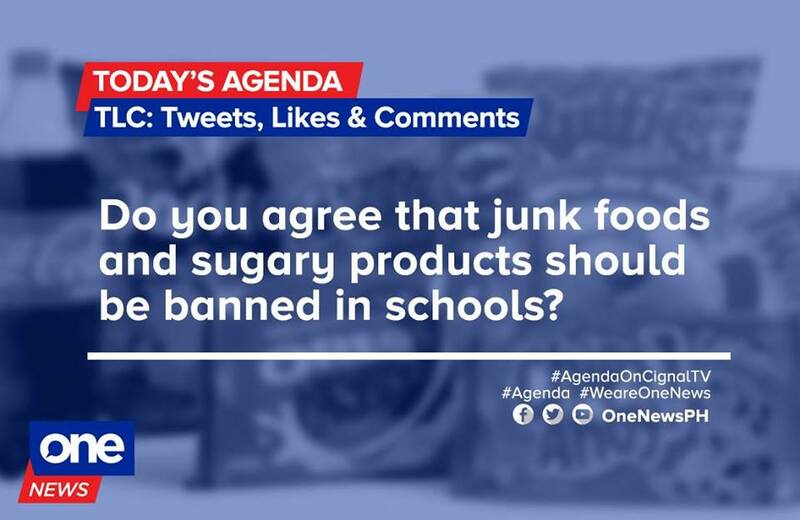 Banned within school cafeteria/canteen is fine because it is the school's prerogative what can be sold/not sold inside its premise/campus. Bigger issue is if these should also be banned in stores outside the school gate/wall, about 100 meters away from the gate. I said that the latter move is OA and anti-entrepreneurship. One, not all buyers of those stores are students. Depriving the stores to sell those items is lousy. Two, there are several prohibitions already existing, like stores and shops cannot sell cigarettes and alcohol products to students and people below 18 years old. If this prohibition of selling sugary drinks and food is adopted, next will be prohibitions in selling confectionery, candies, ice cream, chocolates, cookies, soda, etc. Government nannyism can be ugly.